Harriet Elam-Thomas grew up in Boston, the youngest of five children. She graduated from Simmons College and later earned a Master’s Degree from the Fletcher School of Law and Diplomacy at Tufts. 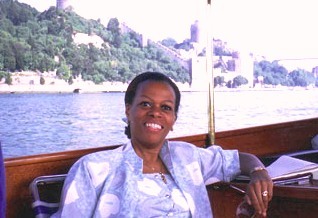 Beginning a four-decade career in the Foreign Service, Elam-Thomas served her first tour in Senegal, worked in public diplomacy in Mali and Cote D’Ivoire, was Cultural Attaché in Athens, Director of the Cultural Center in Istanbul, Counselor of Public Affairs in Brussels, and Counselor of the U.S. Information Agency. In 1999, President Bill Clinton nominated her to be U.S. 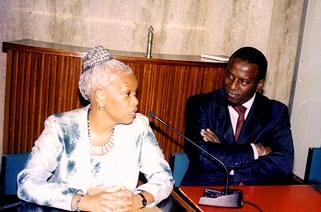 Ambassador to Senegal; she served in that capacity from 2000-2002. 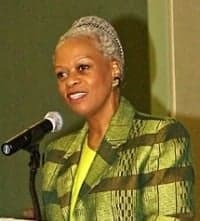 From 2003 to 2005, Elam-Thomas was the Diplomat-in-Residence at the University of Central Florida. She retired at the rank of Career Minister. Harriet L. Elam-Thomas was interviewed by James T.L. Dandridge II in June 2006. A second interview was conducted by Mark Tauber in February 2017. Her forthcoming book Diversifying Diplomacy: My Journey from Roxbury to Dakar will be published in the ADST-DACOR Diplomats and Diplomacy Series by Potomac Books/University of Nebraska Press in December 2017. To read more about the Foreign Service, diversity, Africa, or to read Harriet Elam-Thomas’ oral history, please follow the links. Follow link here to read about more Fascinating Figures. My parents passed away when I was 33. Until August 16, 2012, I was blessed to have an incredible surrogate father in my brother, Judge Harry Justin Elam. While he had five children of his own, my brother was the father figure in my life. 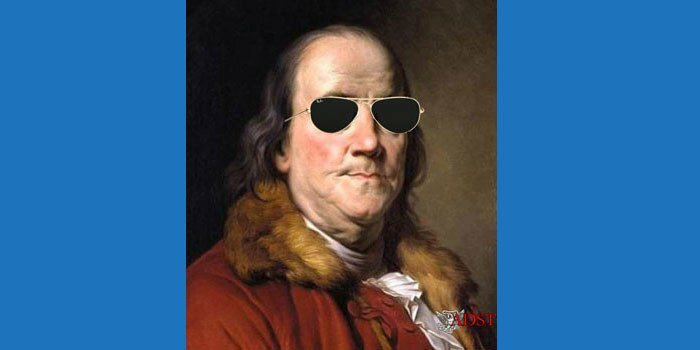 He offered wise counsel throughout my career, gave me away when I married, and swore me in when I became an ambassador in the elegant Benjamin Franklin Room at the State Department. Because they were so much older, my brothers were very much like parents. A few weeks before I was scheduled to enter Lewis Junior High in a challenging neighborhood, Harry and Clarence went to Boston City Hall. They informed the responsible persons that their sister should attend the more reputable Patrick T. Campbell Junior High. I do not know what they did, but they succeeded and I transferred to the Campbell School. 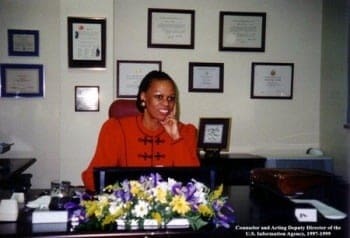 When my brothers recognized that the high school guidance counselor had assigned me to the commercial course, they went to her and insisted that, based on my grades, I merited assignment to the academic track. We all suspected that the moment the counselor saw this young “colored” woman, she automatically assumed that I should enter the commercial course. This was my perception of an encounter with subtle discrimination. If it were not for my brothers’ assertions, I may not have entered college. My brothers were extremely important influencers in so many aspects of my life. I worked on political campaigns, in their law offices and at City Hall. Early on, I thought that I would become a legal secretary. I had no idea that I would enter a career which would take me almost around the world. Mr. Woodrow Baldwin, dean of the School of Business, played a critical role in my international exposure. In 1962, Mr. Baldwin called to see the results of my application for a summer abroad program with the Experiment in International Living. I informed him I was accepted, but I did not qualify for scholarship assistance. My family did not have the $1,100 for me to take part, and I had to decline. About a week later, I was amazed to learn that Mr. Baldwin convinced a group of businessmen in Boston to provide $900 towards the total cost. Remarkably, my siblings raised the remaining $200, and I went to France. Let me assure you, $200 in 1962 was the equivalent of $2,000 today. If I thought other things changed my life, the summer in Lyon, France, gave me my first window on the world. A French family saw my picture and welcomed me into their home. They did not care what color I was, and we have remained in touch for 54 years. That experience sparked my desire to live and work abroad. … I will never forget that one day, walking along a street in Lyon with my French “sister,” when someone said, “La femme noire, comme elle est belle.” (The black woman; how pretty she is!). … Just hearing that phrase lifted my soul. Suddenly, I recognized that my complexion was an asset and not a liability. Many of the French people with whom I interacted were just curious to talk to me about what life was like in the U.S. Negroes (This was the term used in the early 60’s.). Perhaps I helped change some of their earlier misperceptions about America based on the televised stereotypical representations. The French seemed particularly curious about my family background. Whenever I described my parents’ humble beginnings and the accomplishments of my siblings, the French students were clearly impressed. Without arrogance, I simply stated facts. The young French men and women welcomed a totally different view about minorities in America and realized that much of America’s strength came from its diversity. Thus began my journey to bridge cultural divides. 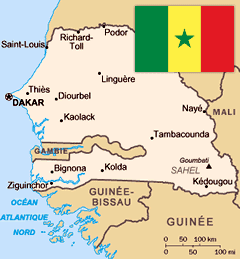 In 1975, Senegal was still a newly independent nation. Traditionally, each ministry had a French “expert” as a technical advisor. Our attempt to gain Senegalese cooperation on an American studies program was an uphill battle. Upon reflection, I now understand the former colonialists wanted to maintain their influence throughout the Senegalese education system. In order to circumvent the influence of the technical advisers, I seized the opportunity to engage Senegalese officials and educators whenever they attended representational events. I could speak with them directly without the interference of technical advisors. These social gatherings gave me a chance to highlight the advantages of the proposed program. The educators welcomed details on how such an initiative could prepare the Senegalese to be more competitive worldwide. I also noted that we would include respected civil rights advocates from the United States to provide historical context for the social advocacy which the Senegalese knew only superficially from French newscasts. In the summer of 1977 as I prepared to leave my first assignment in Dakar, I was terribly frustrated with the slow progress to meet one of the key embassy objectives. Imagine my delight to return 28 years later as ambassador to participate in the 19th Anniversary West Africa American Studies Conference at the University of Dakar. The focus was on the American Legal System, and I was the closing speaker. Approximately 250 participants from other universities in sub-Saharan Africa attended. I was delighted to see the fruits of my work and that of my colleagues after almost three decades. Diplomacy requires patience. In the mid-’70s, I had another career-enhancing experience during my posting as CAO in Abidjan, Cote d’Ivoire. One of my first professional mentors was Ambassador Monteagle Stearns. I honestly believe that his recommendation resulted in my receiving the United States Information Agency’s 1979 Jefferson Fellowship. I attended the Fletcher School of Law and Diplomacy at Tufts University and earned a Master’s degree in Public Diplomacy in one year. I told him I was honored, but that the assignment system did not work that way. For years the career service members thought the FSOs working in personnel often received “plum” assignments. I reminded him that he could not merely request an officer, I would have to bid on the assignment. … His response, “I still think you should bid on Athens and let the system work as it should. If you do not bid, you have absolutely no chance to get the assignment.” Finally, I included my name on the bid list. … I reflected on the faith this ambassador had in me, and that is why I went ahead and bid on the post. … After almost a year, the officer assigned as CAO wished to become the IO, and eventually I was selected to be CAO Athens. My assignment to Greece was my shining moment. This is the posting which proved to me that my work had merit. Perhaps I was so engaged in moving Greeks away from their innate anti-American focus I did not realize that my boss, the PAO [public affairs officer], perceived my positive rapport with all levels of our Greek contacts as threatening. 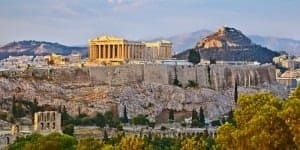 Upon my Athens arrival, I worked diligently to improve America’s image, created credible ways to remove the misperceptions Greeks had of America, and heightened the respect for American artists of all genres through their performances, literary works, and exhibits. I used every opportunity to educate Greeks about African Americans in science, education, and technology … including delivering in Greek a Black History lecture in Athens and Thessaloniki on that subject. In 2015, after a monthlong stint as the Dukakis Lecturer at the American College of Thessaloniki, I returned to Athens for a personal visit. After delightful reunions with several former contacts, one of the journalists sent me a note in which he said, “When you and Ambassador Monty Stearns were here, we called it the golden age of diplomacy.” I sent a copy of that note to Ambassador Stearns. Despite not being promoted, I had four absolutely wonderful years and remain in contact with several Greek artists, academics, and political and literary figures now considered the “wise” men and women of Athens. As I returned to Washington in the late ’80s, I welcomed the chance to serve two years as desk officer for Greece, Turkey, and Cyprus. While on this assignment, I learned many assumed that I was a staff aide because of my gender. 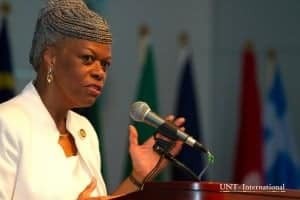 The automatic assumption was that most women in State and USIA were administrative assistants, budget and fiscal officers, or other support staffers. Few women were in the so-called “substantive” positions. 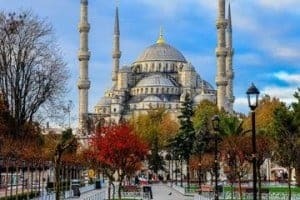 After the three years as the desk officer for Greece, Turkey, and Cyprus and earlier visits to two of the three posts, I thought it wise to make an orientation trip to Turkey, since I had not served there. … That travel was one of the wisest decisions I made, even though I had to use my personal Frequent Flier miles to make the trip. That face-to-face contact with USIA officers in Istanbul and Ankara confirmed I was sincere in my commitment to support field colleagues. I received an evaluation from the PAO in Turkey, who said he and his team felt they had an advocate who was right there with them based on the swift follow-up they received on their requests to Washington. Let me tell you what prompted me to work even harder to succeed in my Turkish language study. Three weeks before my Turkish exam, Nelson Mandela gave a speech at a joint session of Congress. I used every former contact even from my White House days to get a ticket for that speech. On June 20, 1990, I sat in awe in the Senate Gallery as I listened to Mandela. I said to myself, if he could spend 27 years in jail without bitterness and demonstrate such a command of U.S. history, I can pass my imminent Turkish exam. For most of my 42 years in this profession, I have tried my level best to speak to the hearts of our hosts in each of my posts. As I entered my first Country Team meeting [as ambassador to Senegal, 2000–2002], I did not feel a genuine sense of warmth. The [senior officers at the embassy] were politically correct and stood respectfully. Although I knew it was not unusual for the resident country team to be restrained when new leadership arrived, it was a bit disconcerting. During that first meeting, I politely set out the ground rules of my management style: All embassy staffers must adhere even more strictly to the rules and regulations. I would not turn a blind eye to security breaches and would discipline any attempt to circumvent administrative procedures. Drafting had to be impeccable, for my name was at the bottom of every official message. Few of the Washington recipients would consider that a cable may have been written by a Foreign Service national for whom English was a second language. When I was a desk officer, this was the supposition whenever cables arrived with grammatical and spelling errors. We knew the ambassador did not draft all outgoing messages. However, based on my life experiences, I knew that the standards for messages coming from my embassy would be higher than usual. By the time I arrived in Dakar, I had had an unblemished career for 37 years, and I did not care to tarnish it at that point. As Counselor of USIA, I became aware of improprieties, serious security violations, and personal infractions which destroyed the careers of senior diplomats. All DCM and ambassadorial nominations went through vigilant security reviews before going forward. My arrival in Senegal was just two months before the presidential election. I was instructed to meet with all opposition party candidates, to remain neutral, to strongly encourage transparent voting, and to promote a smooth transition of power. The US government wanted Senegal to be a model for the democratic process. During the first five weeks in Dakar, I met with about 14 candidates. We all know, the smaller the country, the greater number of candidates. Naturally, several preferred not to come to the chancery. I fully understood and scheduled sessions in the residence garden area to help minimize the candidate’s concern about recorded conversations. Wade often professed a desire for trade not aid, but in reality, he made sure aid came up during our meetings. Wade was and is known for being his own man, but he seemed to give serious consideration to some of my counsel. From my perspective, this dependency mindset was not healthy for a nation that gained its independence from France in 1960. USAID’s worldwide goal is to mount sustainable programs. After a mutually agreed upon time, the recipient nations were expected to take over the development projects on their own. Our USAID director, Don Clarke, asked me to chair the private sector coordinating group. All of the donor nations to Senegal comprised that body. 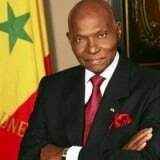 The major goal was to reduce the 33 steps required to establish international companies in Senegal. The complex French bureaucracy was still in place. The private sector group reviewed the USAID and World Bank joint study. The report outlined concrete ways to diminish the tedious steps. During the subsequent 18 months, we worked with Senegalese government officials and reduced the bureaucratic requirements to 22 steps. Granted, that still seemed like a lot, but it was a significant step towards facilitating foreign investment. Per our recommendation, the Senegalese government established a clearinghouse unit to guide new investors on how to navigate the relevant ministries. Shortly after the 9/11 attack, I seized an opportunity to give Wade a bit more candid advice. I reminded him that we could no longer allow countries like Libya to influence nations in sub-Saharan Africa. Wade agreed and volunteered to speak out forcefully against the perpetrators of the 9/11 tragedy. 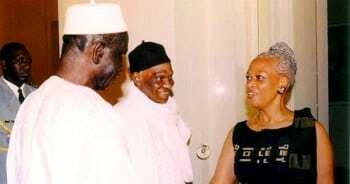 In fact on October 17, 2001, Wade hosted a West African regional meeting on that subject at the Hotel Meridien. The Saudis had built the hotel for an OIC Meeting in the 1980s and it is a state-of-the-art conference center. On the eve of President Wade’s departure for a G-20 meeting, I learned from my colleagues in another section of our embassy that two of their senior Washington directors wished to meet with President Wade. It was imperative that they see him before he left for Italy. We scheduled the meeting at 8:30 p.m., thanks to my rapport with Wade’s personal secretary. She responded to my last-minute request within minutes. I remind my diplomacy students that it pays to build credible relationships. They have listened to countless examples of my conversations with the secretaries of all principals with whom I meet at home and abroad. They are to be respected and honored, for without them, none of us would have access to the principals. That was my standard operating procedure with President Wade’s secretary, and it certainly helped my access to the Presidential Palace. As I exited the president’s office, I always stopped to say thank you and farewell to Wade’s secretary. When I reflect on my meetings with President Wade, it seems that the French ambassador preceded me or followed me. That made me even more circumspect in my discussions with Wade. Of course, Wade was a brand new president and he certainly wanted to have good relationships with all of the ambassadors. I still found it more than a coincidence that almost every time I had a meeting with President Wade, the French ambassador was in the palace as well. 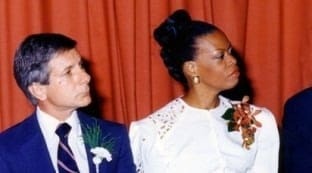 Much to my surprise, a few minutes before 11 p.m. the evening after the Durban speech, President Wade called and said, “How was the speech?” I responded that the Unites States was extremely pleased and thanked him on behalf of the USG for being forthright in his statements. That was the first of three times during my tour that I received a call from the president of Senegal at night. Humility can serve as the catalyst to gain agreement. My students remind me that such an approach may not always be appropriate. Throughout my career, I delivered complex messages; and, in most cases, I gained the needed outcome. … I learned when to push on an issue and also when to exhibit the utmost patience. I am less judgmental. My vision of the future is less influenced by race, ethnicity, or religion. Gender orientation, southern accents, and religious preferences no longer influence my worldview as they did when I first graduated from college 54 years ago. I grew up in Boston in the midst of the Civil Rights Movement. Much of my earlier skepticism about the world was based on my life experiences growing up in the late ’50s and early ’60s. 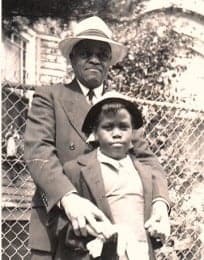 I cannot erase from memory the indelible effects of discrimination on my siblings and their peers only to have similar experiences when I first entered the working world. I have learned that, despite America’s military might, size, and diversity, it is still far from perfect. On my first trip to Africa in the late 1960s, I naively did not understand why I was not welcomed with open arms. I quickly learned that African Americans did not have the historical weight of a revered African Kingdom. The Senegalese, Ghanaians, Malians, and Ivoirians knew that my ancestors went to the United States as slaves. I certainly had no right to consider myself equal or more intelligent. That was a much-needed wake-up call. My international colleagues viewed me as an American, not necessarily as an African American. That was refreshing. Once again, I remind readers that I grew up in Roxbury, the “at risk” area of Boston, which is now gentrified. Prominent families like mine were not the norm. Even though many such families existed in Boston and in many major U.S. cities, the majority population thought we were an anomaly. Two lawyers, a judge, librarians, educators, artists, and civic activists are just a few of the professions of my siblings and their peers. The more responsible my position, the more I believe I improved the image of America abroad. None of this would have happened if I remained in Boston after my Simmons graduation.